Judging by comments on various email lists and websites geared to high school broadcast, film and multimedia teachers, the most popular editing software platforms seem to be Final Cut Pro, Adobe Premiere and iMovie. 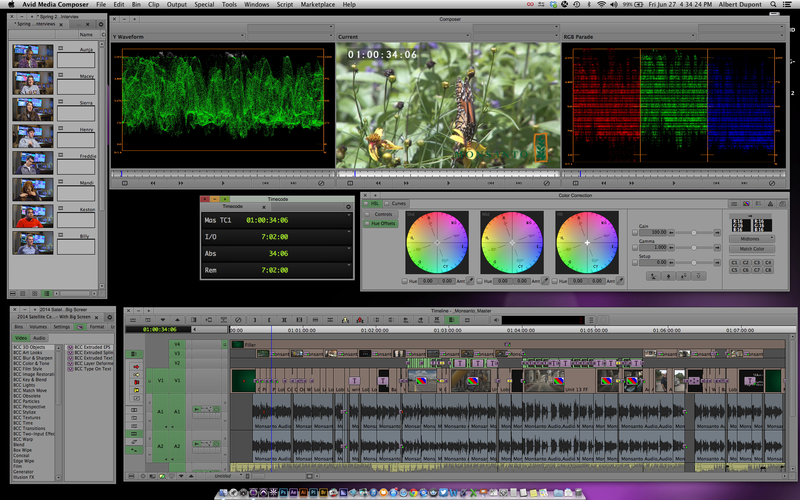 These are all fine examples of editing software and can absolutely do the job of multimedia storytelling. However, I believe one major player is being overlooked, Avid Media Composer. I think many teachers have the opinion that Avid is just for the pros or the pros are not using Avid anymore and switching to other software. 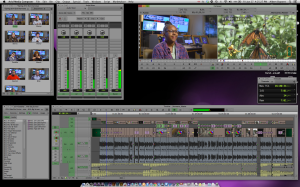 I’ve also seen the comments on various email lists saying that Avid has a steep learning curve and is behind the times. I have to disagree. In my school we have been using Avid very successfully for the last ten years. 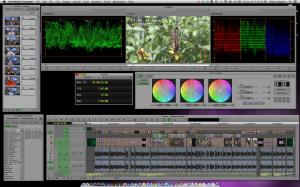 We started on Avid Xpress Pro and then moved to Avid Media Composer in about 2007. My thinking on why I have chosen Avid for my classroom is, why not train my students to edit with the same tool that is used to edit nearly every major movie, used at nearly all broadcast networks, used in many broadcast stations and used for massive operations like the Olympics and World Cup broadcasts? In other words, the “big boys” play and work with Avid. The SAME Avid my students use daily. 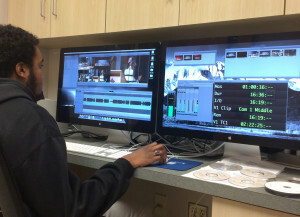 Granted, there are many broadcast stations and postproduction facilities using Adobe Premiere, Grass Valley’s Edius, and Final Cut Pro, but when it’s a “big deal” production, I have noticed, they use Avid. I have come to that opinion after reading many articles in Post Magazine, the Art of the Guillotine Website, American Cinema Editors Website and other professional broadcast and film websites. For example, in the June 2014 issue of Post Magazine there is an article on page 12 about the workflow for NBC’s “The Voice.” They use Avid in pretty much the same way that I use it at my school. Obviously they are much larger, but the workflow is pretty similar. We are fortunate to have six Mac Pro desktop editing stations connected by Ethernet to an ISIS 5000 16TB system. A scaled down version of the system used on “The Voice.” The desktops are four years old and the ISIS is three years old and they have no problem running the latest version of Media Composer (as of this writing 7.0.4). The students are also using four-year-old MacBook Pro laptops running the latest version of the software with no problems. Another concern I hear is that Avid is too expensive. They have very competitive pricing for education in my opinion. 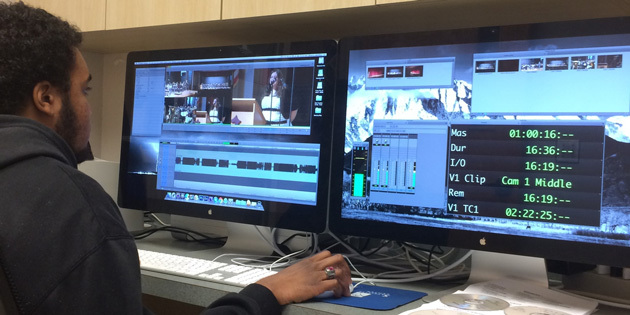 Avid has new subscription options as well as the option to buy a permanent license. My school is also an Avid Learning Partner School, which gives us an even better price and the option of certifying students as Avid Certified Users. As an ALP we pay $1,000 per year for 25 licenses and it includes support. Bottom line, there are lots of options depending on your situation. I really have nothing bad to say about any editing software, they are all just tools to tell the story, which is really what it’s all about. Brands of editing software are like different brands of cars, they will all get you to your destination. You just have to decide for yourself and your students if you are going to teach them how to drive a Ford, Chevy, Final Cut, Premier or even an Avid.